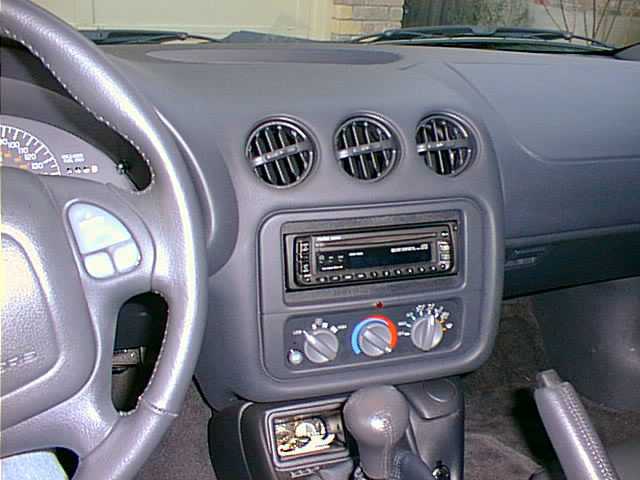 My system starts with a Clarion CD head unit. This unit was chosen because of its sound quality and ease of use. It does not have a lot of special features but the sound quality is good. Its RCA pre-amp output goes to an Audio Control equalizer crossover. This unit has outputs for low frequencies (<90Hz), high frequencies (>90Hz), and full pass. The equalizer is 15 bands per channel and an RTA needs to be used to set it properly. 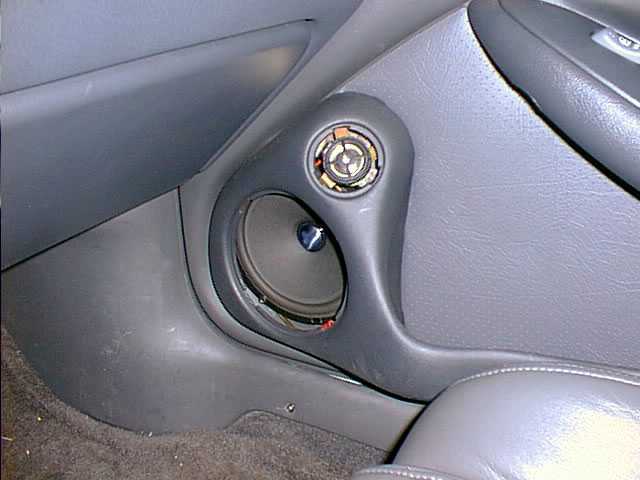 The low frequency output goes to a HiFonics amplifier which is bridged to drive the subwoofer located on the driver's side of the hatch area. 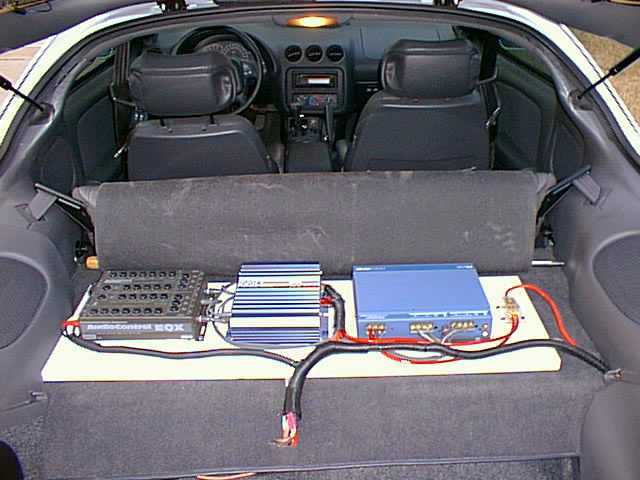 The high frequency output goes to the Soundstream amplifier which has 4 output channels. 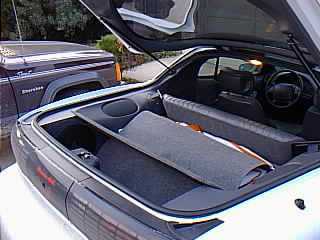 2 of the channels power the rear speakers for rear fill. The other 2 channels power the component set up front. 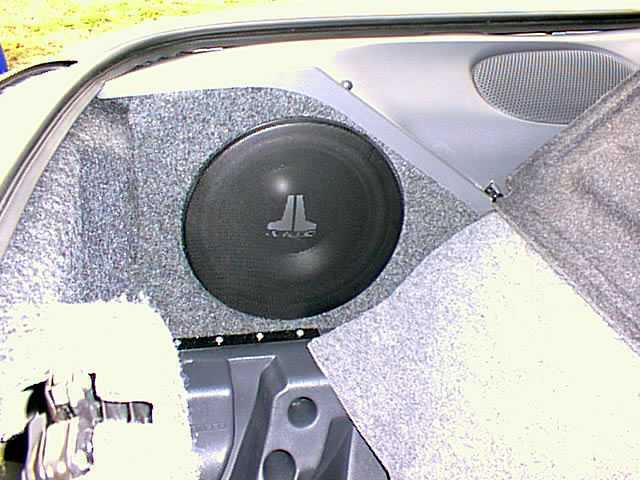 The component set consists of a MB Quart midrange and tweeter mounted in the factory locations. Crossovers for the midrange and tweeter is mounted by the spare tire. The amps were chosen for their high power output and low distortion along with their ability to drive low impedance loads which aids in squeezing out extra power. The speakers were all chosen for their winning reputation in professional competition. Both JL Audio and MB Quart have done very well with the models I chose. The equalizer/crossover was chosen for its flexibility. 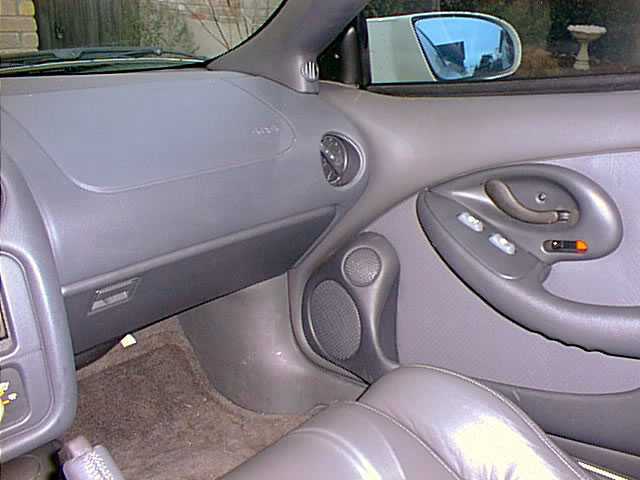 Another plus is that most of the system (except the head unit) is not visible from the outside. The system sounds pretty good but it is really hard to get good sound in a car. The soundstage is a little low, the imaging and soundstage are ok but nothing like my home system. 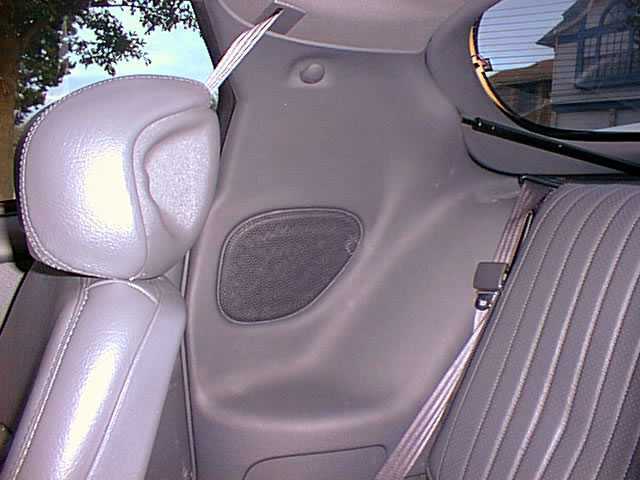 The transfer function of this car gives you a lot of low bass but there's suckout in the midbass region so drums do not have proper impact. The treble from the MB Quart's is sometimes a little harsh (I am even using the -3dB setting) but they really cut through wind noise well, especially with the windows down. Detail and soundstage depth are pretty good when the car is off but as soon as you turn the key you lose all that. I'm happy with this system and it is really nice especially on long trips but my critical listening is done at home. Covered up, no heat problems!